For this Valentine's Day, I was lucky to get my hands on a spectacular steak. 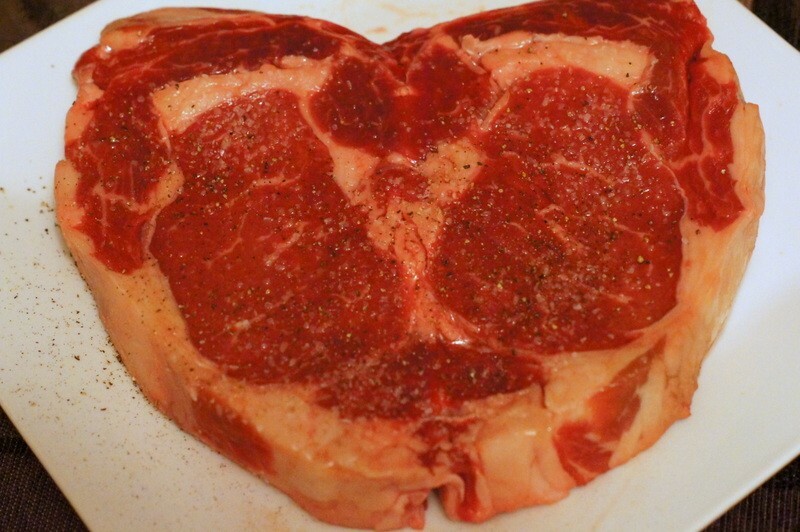 It was a boneless, butterflied ribeye for two people in the shape of a heart, from Texas' phenomenal 44 Farms. 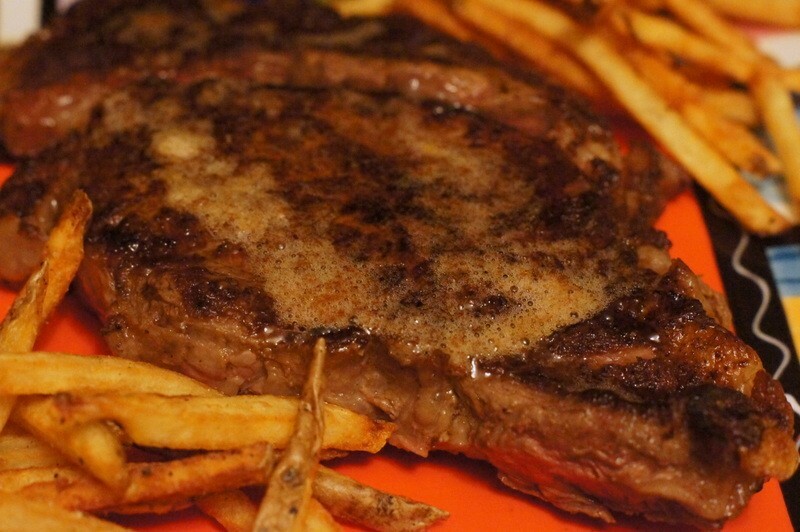 The steak was certified Prime; only 2% of all steaks sold in the U.S. are Prime. It was quite a specimen and I didn't want to ruin it! So, I followed the method that chef Dave Jones at Log Haven restaurant uses. He seared his steaks on the stove first, then finishes them in the oven. I found it to be a perfect cooking technique for a first-class steak. Here's how it's done. 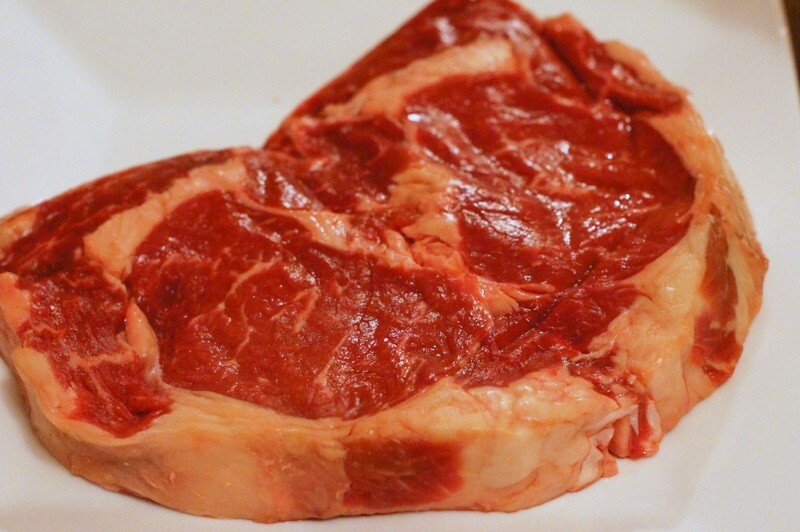 Allow your steak to come to room temperature for about an hour before cooking. 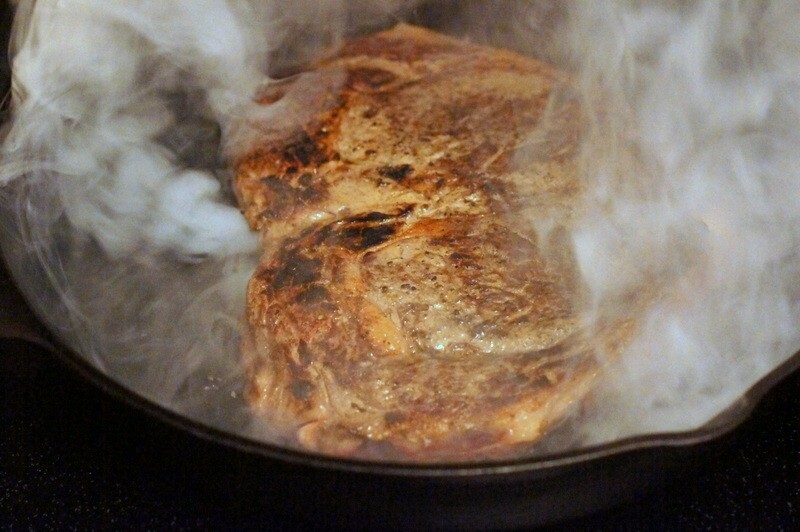 Preheat your oven to 500 degrees F. (Chef Jones finishes his steaks at 350 F). Place a cast iron skillet or pan in the oven while it preheats. 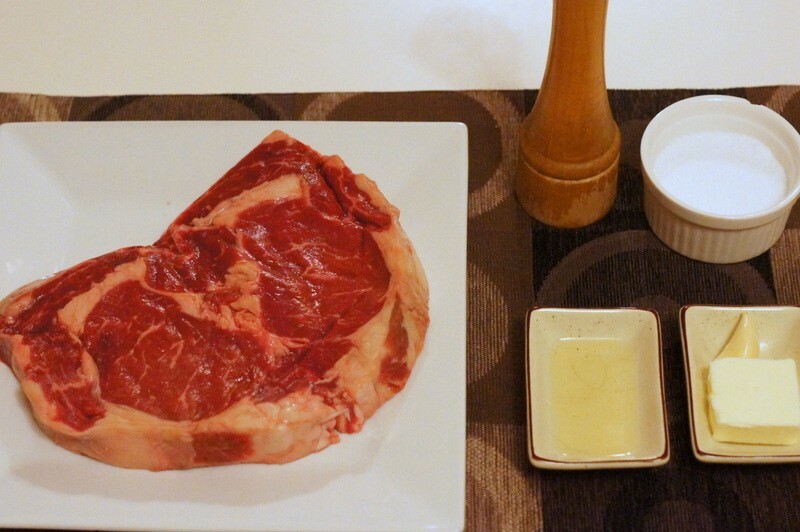 While the oven is heating up, lightly coat the steak with the oil. Then season generously with salt and pepper. Heat a stove burner to high. 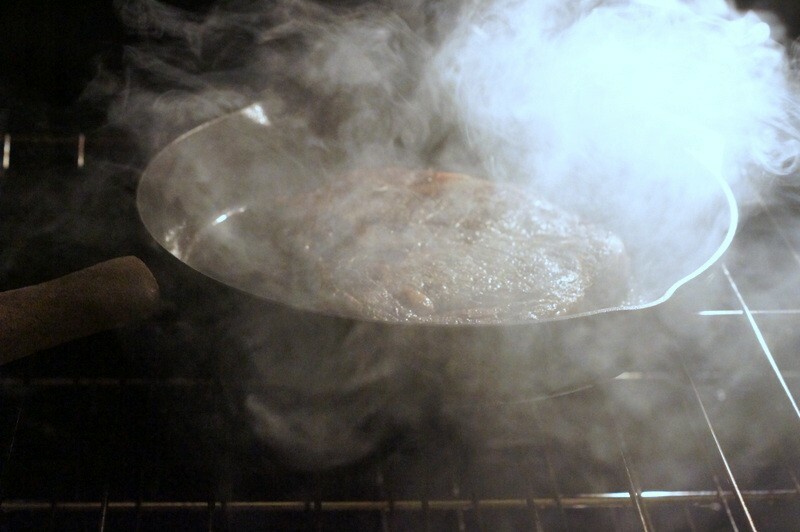 When the oven reaches 500 degrees, remove the skillet and place it on the burner. BE CAREFUL! The skillet will be very, very hot. 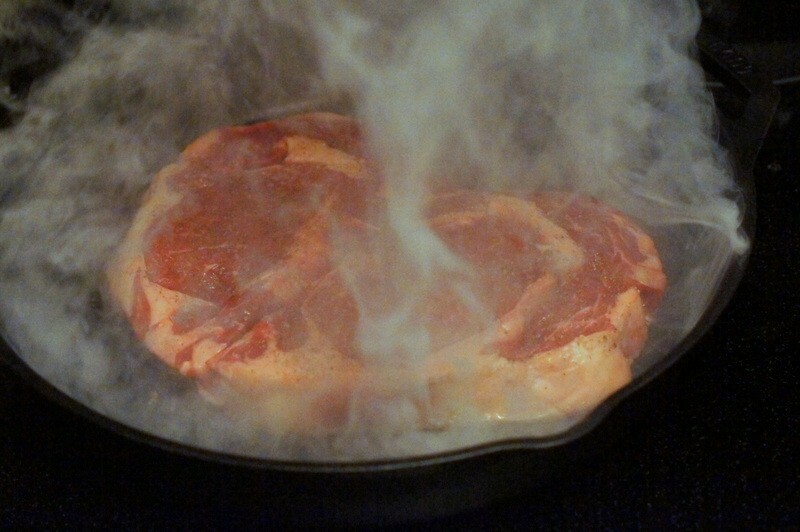 Place the steak into the skillet and cook, without moving for 30 seconds. There will be smoke. Be sure your cooking space is well ventilated. 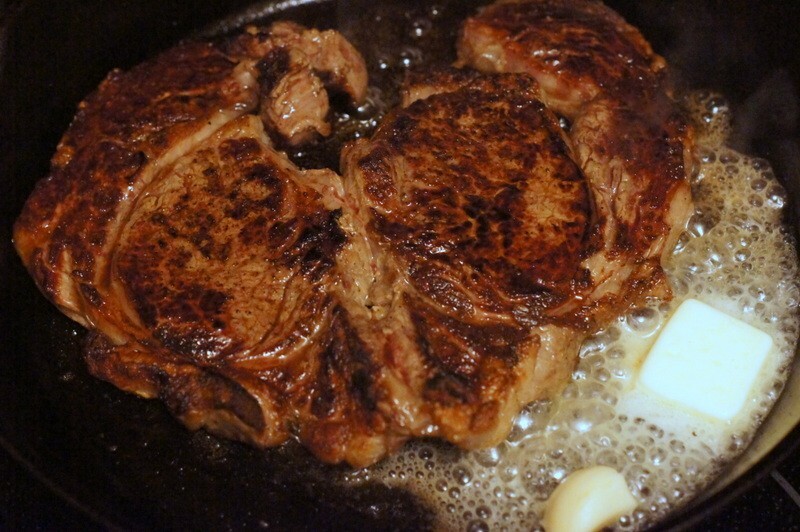 Flip the steak over and cook for 30 more seconds. Immediately put the pan with the steak into the oven. 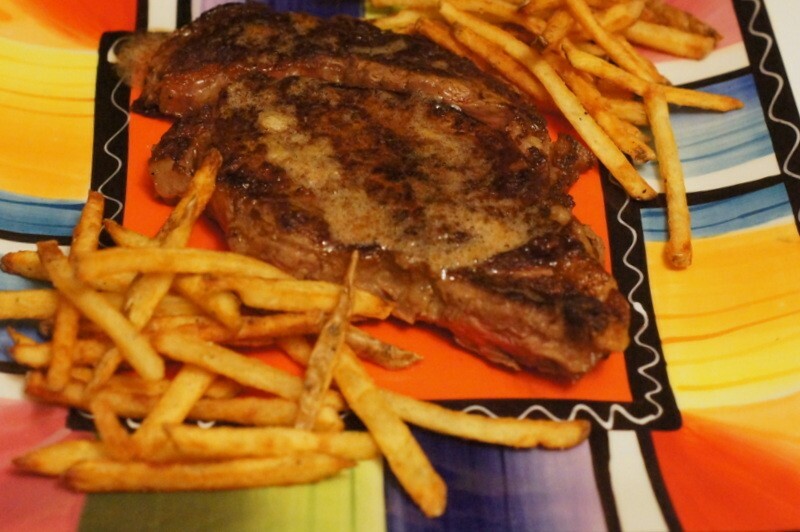 For a medium-rare steak, cook for 2 minutes in the oven on one side. Flip the steak and cook it for 2 more minutes on the other side. Remove the pan from the oven. If you'd like to make a simple sauce, add the butter and garlic to the pan. The butter will melt quickly. Allow the steak to cool for a few minutes on a cutting board while the juices redistribute. Serve with the (optional) butter sauce.